On a recent trip to Tanzania I had the good fortune to spend a week on Safari through some of the world’s most spectacular locations of Tarangire National Park, Ngorogoro Crater and the amazing Serengeti. Africa was new to me and before arriving I had visions of long days driving sitting in jeeps waiting to see something in the distance – boy was I wrong! Arriving into Arusha from Zanzibar I was picked up by my guide for the next week, Romwald a 7ft. tall Tanzanian with the deepest voice and largest grin I have ever heard or seen. Arusha is the starting place for most Tanzanian safaris and has 2 airports, one for the smaller planes which are a main form of transport in this part of the world (Arusha), and Kilimanjaro airport located a little south of Mt Kilimanjaro for the larger planes. Romwald took me to Killi Villas which was our accommodation for that night – its located outside the town and was a few villas all looked after by a lovely family who not only had a wonderful nature but had some great cooking skills so we ate and rested very well that night. Early start the following day to head towards Tarangire National Park which was a couple of hours drive away from Arusha. 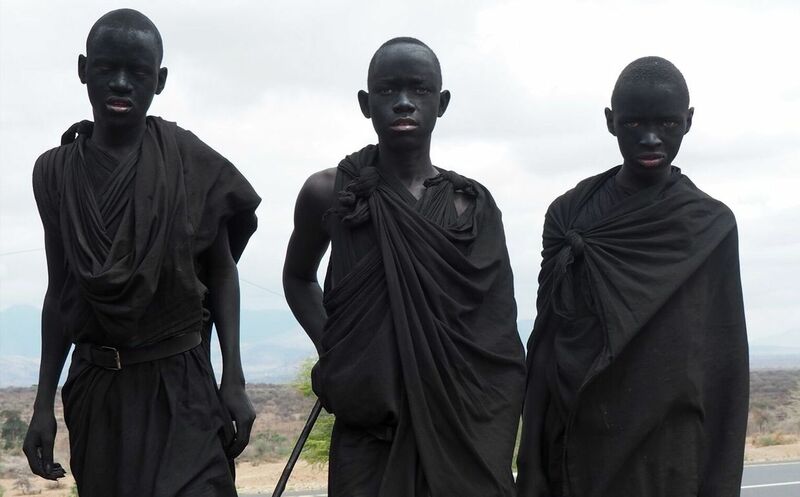 Driving past Maasai villages along the way we also witnessed groups of teenage boys dressed in black on their journeys to manhood, some with faces painted in white passing the months before they could return to their villages for the next stages of the various ceremonies they were about endure. We were told that in the past they should return with a prize of some sort e.g. a lion’s tail, however these days cattle are the main form of currency for the Maasai so it’s usually a cow stolen from another village. We made our way into Tarangire National Park after some formalities at the gate and it wasn’tt long at all before the first Warthog is seen, followed by some Zebras, Giraffes, Elephants, Buffalos… the list goes on. Cameras were going wild at these first sightings – little did I realize that I had a week to go with the sightings getting better each day! 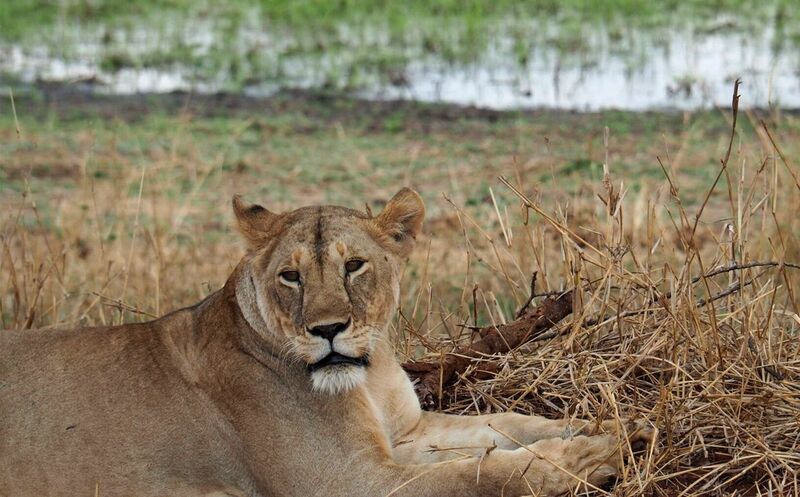 Just before lunch we made it to the swamp area and were greeted by our first lion having a rest in the shade. It was a hot and sunny day and it was just enjoying its rest under the tree, not bothered by our vehicle sitting a few metres away where we could get a nice look up close. Most visitors to Africa are hoping to see the Big 5 – Leopard, Lion, Elephant, Buffalo and Rhinoceros. 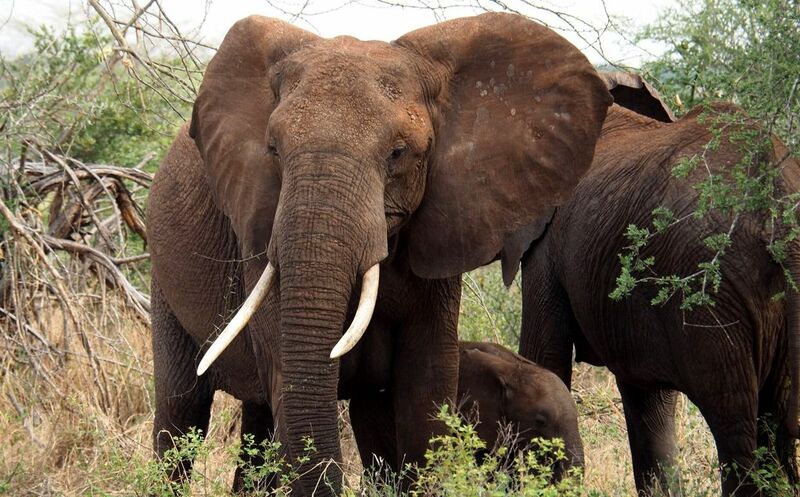 By the end of today we had seen three already and we happily made our way to camp that night in the very comfortable stay at Nimali Tarangire where some Elephants were greeting us at the waterhole by the main dining tent. After a wonderful sleep, we left the camp in the morning and headed towards Ngorogoro Crater. On the way out we had some more game viewing before returning to the smooth asphalt road and headed towards our next camp for the night at Lemala Ngorogoro. 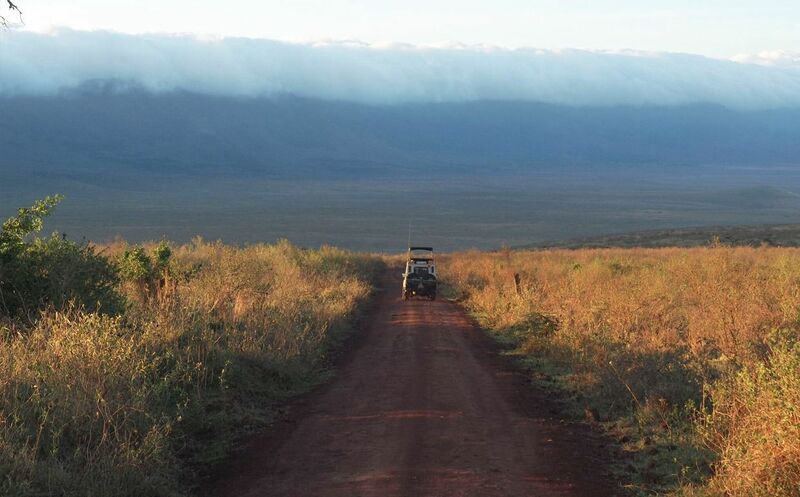 Our drive here went via Lake Manyara National Park and Karatu which is a nice village surrounded by coffee plantations. After stopping for some supplies in sighting the village, we made our way towards Ngorogoro national park. While waiting for our entrance fees we had to guard the car against the family of Baboons who were calmly climbing on the bonnet to see what we had in there. Surviving that episode, we were given clearance and climbed up he side of the crater (our guide told us it’s actually a caldera not a crater) to the lookout for an outstanding view of the entire crater. We were so high up I couldn’t make out any animals on the crater floor however my guide was telling me that it’s the best place in Tanzania to see many species in a small area. 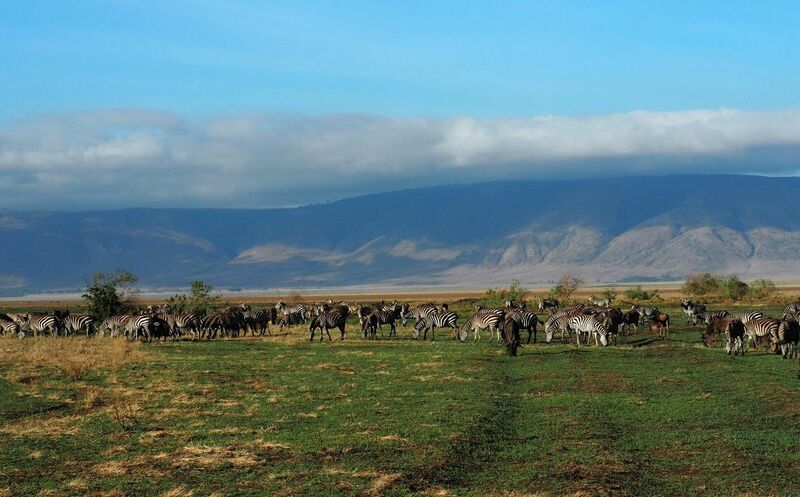 Ngorogoro Crater can be a popular place for tourists so we decided to wait until first thing the following morning to take our game drive without the crowds. That afternoon we had an opportunity to visit a Masai Village who lived on the crater wall and was a very nice experience – they were very welcoming by singing, dancing and jumping for us, I even had a go but almost broke my ankle in the process so I don’t think I’ll take up that for a living. We went to the class room with some of the children where some gifts were handed to them and they enjoyed looking at themselves on everyone’s cameras. We went and bought a few handmade gifts to help support the village and went on our way back to the camp – it was a great experience. A 5am start the next day and my Masai man was outside my tent waiting for me to take me to the dining hut for breakfast in case there were any man-eating visitors outside. After breakfast, we were away and descending the wall of the crater onto the floor where within minutes we spot a hyena, then another, then a pair of lions courting each other, in the distance we see another pride of lions feasting on the remains of a kill, then surrounded by hundreds of zebras, next to us is a pool full of hippopotamus – I didn’t know where to look, I was surrounded by wildlife at its best in this stunning natural enclosure! My travelling partners who had all been to Africa before were all telling me how spoilt I was to be seeing all this on a first trip – let alone just this morning! We stayed in the crater for a couple of hours until the chill of the early morning lifted and some of the wildlife started to prepare for the heat of the day, then began the climb along the windy road up the crater wall, where once we were up the top we continued west towards the Serengeti National Park. The heat of the day was climbing as we drove to the entrance of Serengeti National Park where we had another pit stop while the paperwork was organised (no Baboons this time). 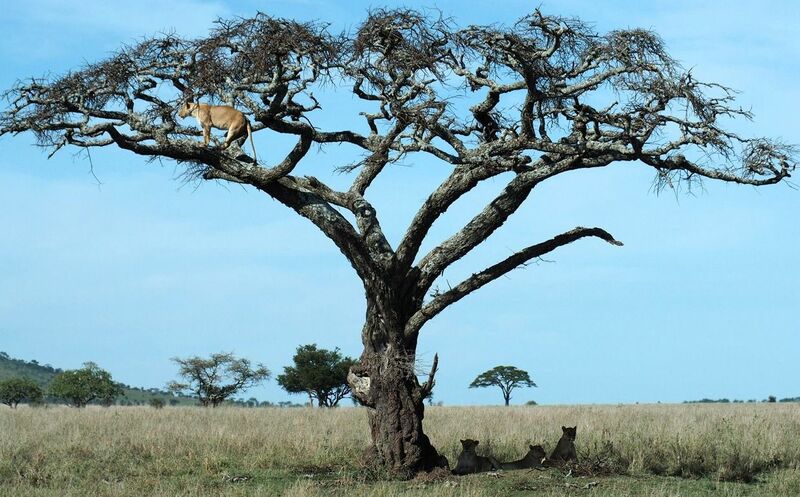 The Serengeti covers 14% of Tanzania and is home to the great migration along with 3000 + lions also living in the area. Once inside it didn’t take us long to see a group of 4 lying by the side of the road near a pool of water and not far down the road there were 2 large males sitting under a tree having a rest. 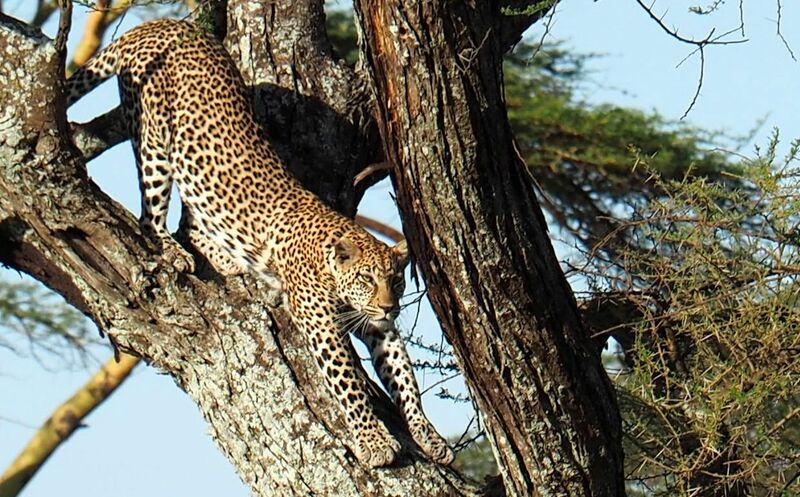 We continued with various other sightings throughout the day until later in the afternoon our guide with miraculous vision spotted a leopard up a tree in the distance. The leopard was starting to get hungry as it was on the lookout for anything moving in the grasslands so it was moving around on the branch, had a big stretch and then leapt into the grassland to get a closer look at something in the distance. We stayed with the leopard for as long as we could but eventually lost it in the high grass, so we headed onto our accommodation that night at Lemala Ewanjan. When I woke up the next morning I was watching a hot air balloon was floating over the plains peacefully when one of the staff told me a lion was sleeping reasonably close to my tent all night. I tried not to think about that too much however, and they said were keeping an eye on him and there was nothing to worry about – I took their word for it! We had breakfast and drove for 5 minutes to see a mother cheetah with her 5 cubs in the distance which was a real highlight for me as I was hoping we would see one, however I was told they were difficult to find at times so I was very pleased. Next stop was a pride of lions who had taken over a tree as a viewing point looking for some breakfast while getting some hunted and other got some shade, and we had only been on the road for less than an hour! The rest of the day continued down the same path of constant wildlife sightings and beautiful open spaces, making the rest of the world seem so, so, far away. We finished the day at the luxurious Lemala Kuria Hills where we were spoiled by the great service and comfort of the cabins and lodge. The rest of the day was enjoying the vast open views over the Serengeti with a cool drink in hand. Another sunrise start the following day to explore the surrounding area and we immediately ran into a small pride of lions playing close to the lodge. We were in the Northern Serengeti now where the landscape had changed from grassland to rocky meaning there were plenty of places to hide, but also the top of the rocks were great vantage points. These were so popular that we were able to witness a group of Baboons try to take over one from 3 leopards (successfully also), while a lion patiently waited for one of them to make a wrong move. Everyone involved escaped without injury in the end however its life or death out here so the animals need to be on high alert at all times. With 4 down now I only had the Rhinoceros to go for my big 5 and we went searching for one later that morning that was apparently in the area. Unlucky for us this time we couldn’t find it but I guess I’ll just have to come back another day to complete my list.